Is there one meal you can remember eating growing up? 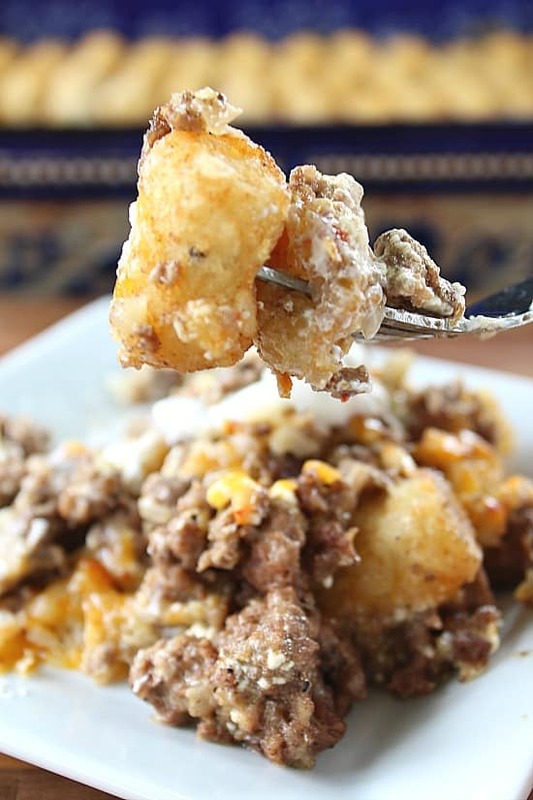 We have eaten tater tot casserole as long as I can remember. That’s one meal my Mom always made. Super simple, and so tasty. 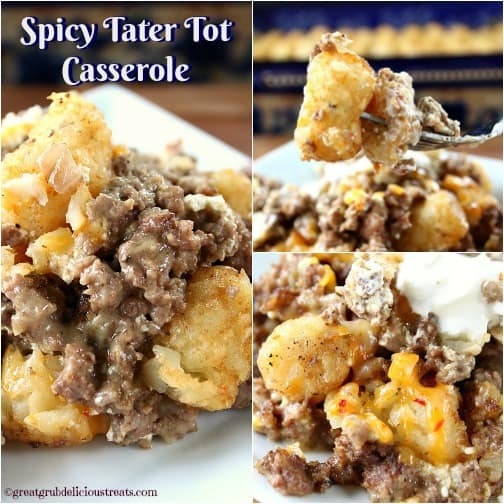 My spicy tater tot casserole is just a spin on an old favorite. 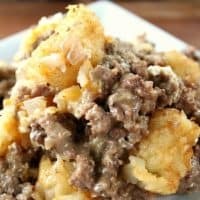 Just brown some ground beef and onions, drain the grease, add the soup and stir it up. Next, pour the meat mixture into a 13 x 9 baking dish. 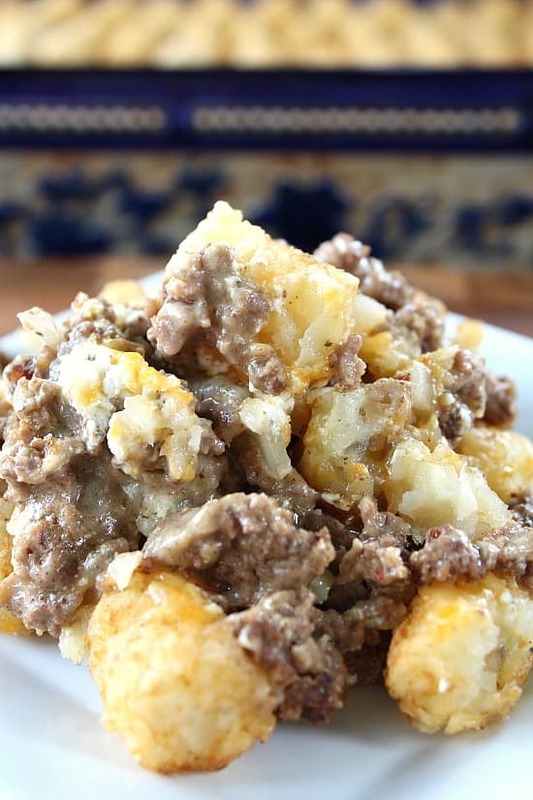 Add sour cream on top of the ground beef, then sprinkle with cheese, top with tater tots and pop it in the oven. No need to cover it. Let it cook for about 45 minutes and serve it up.! So simple and very satisfying! I bet many of you have had this dish sometime in your lives. It’s such a quick and easy meal to make and one that is definitely tasty. Diced green chilies would be great to add to this as well as some sliced green onions. In a large skillet, brown ground beef and onions over medium heat until done. Drain and return to skillet. 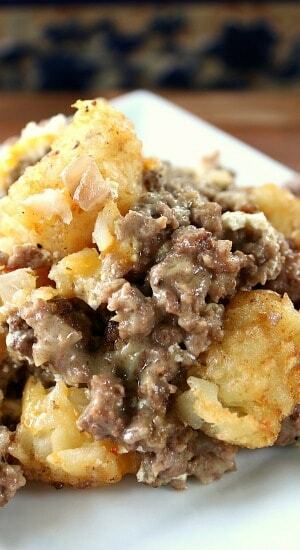 Add soup into ground beef and cook for 5 minutes until hot. Put meat mixture into a 13 x 9 baking dish. 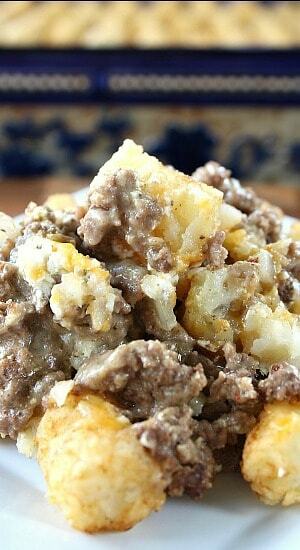 Spoon sour cream over meat mixture. 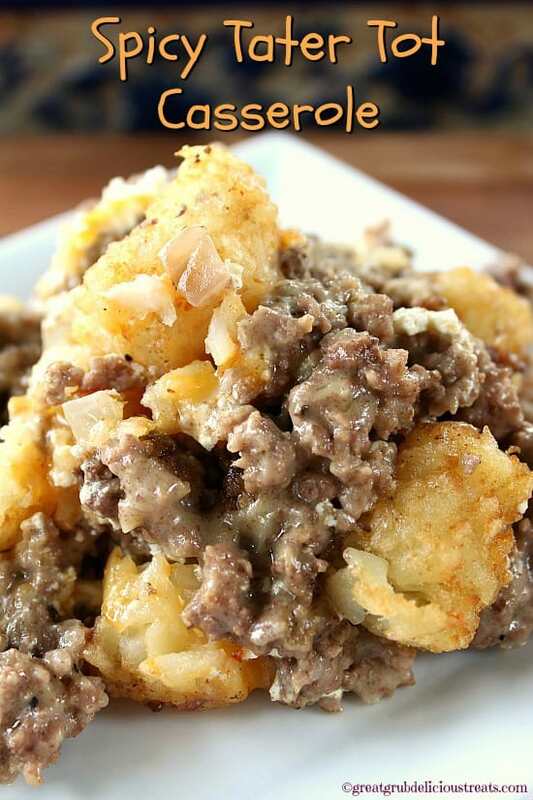 Cook for 35 - 45 minutes, or until tater tots are browned. 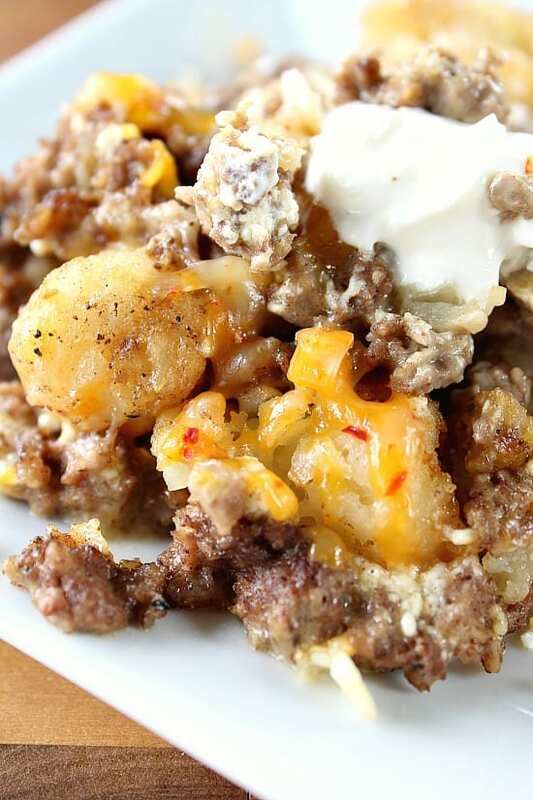 Serve with additional sour cream and cheese if needed. Here are a couple pics that are the perfect size to pin to Pinterest. We’re vegetarians, so I used cream of mushroom soup, Bocas Burger crumbles, and used a mild cheese since my wife doesn’t like things spicy. It’s a keeper. I didn’t even have to add salt. Thanks!